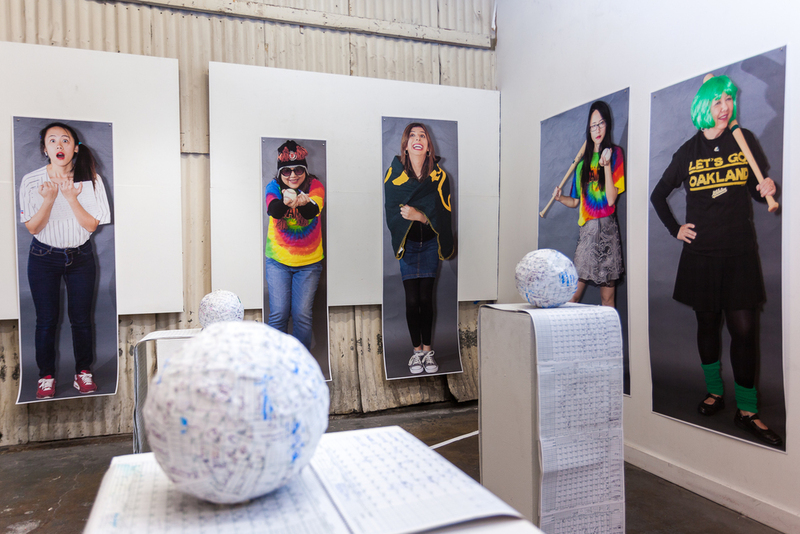 “Play Ball!” at Arc Gallery and Studios is a multimedia show about women’s passion for baseball bringing together artists Amanda Chaudhary, Mido Lee, and Priscilla Otani. 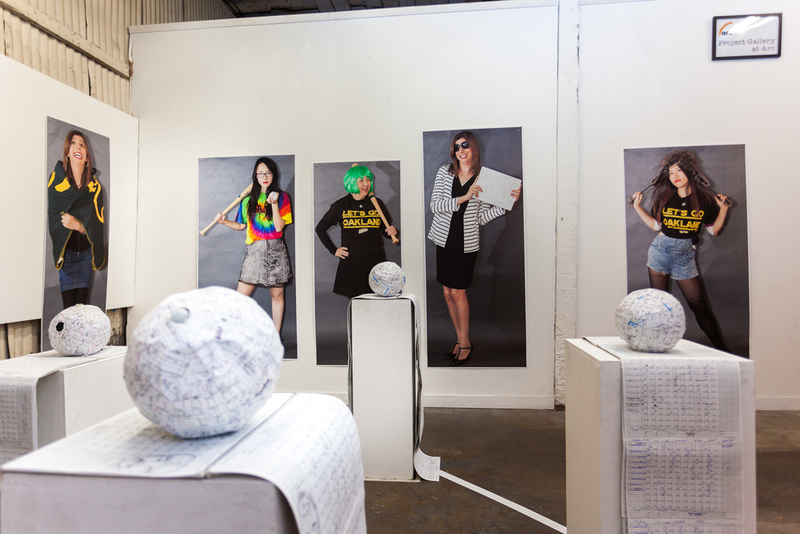 The installation was a true collaboration brought together our respective talents in physical object making, electronics, software, sound, and photography. One of the more challenging aspects was the interactive sound installation, which was to be installed a series of columns representing the bases on a standard baseball diamond. Four sound sets were composed based on field recordings made at Bay Area games and installed on an Arduino-based system for playback. The electronics included the Arduino itself, a Wave Shield from Adafruit for sound playback, and several motion sensors. Programming the devices, installing them into the physical space, and then testing and debugging was an incremental, iterative, and at times grueling process. But through repeated efforts and understanding the interaction of sensors, wiring, and our software code we ultimately made it work. 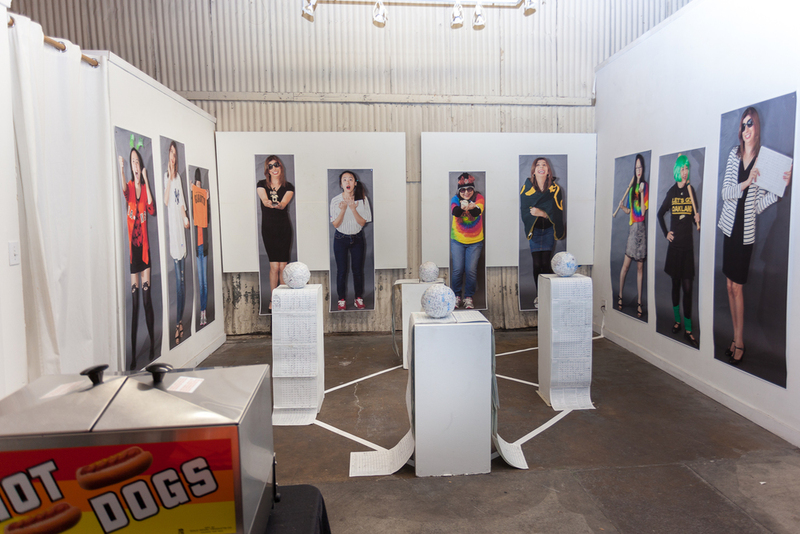 Within the final installation, viewers can explore the bases and the surrounding life-size images representing the diversity of women at baseball games. As viewers pass by individual bases, different sounds will be triggered, creating an immersive sound, space, and visual experience.